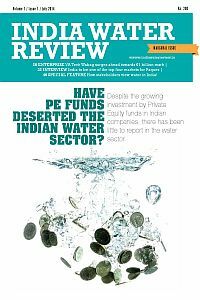 India Water Review is an India-focussed water news website that tracks and reports on the domestic and regional water/wastewater/water management and services sectors from business/corporate/commercial, policy and environmental perspectives. India Water Review is a knowledge disseminating initiative by Xegent Consultants Private Limited. India Water Review is targeted at all companies engaged directly or indirectly in the water industry in India and the sub-continent. India Water Review intends to become the single-point source for all business, commercial and policy news and information on the water industry for all industry participants and an online ‘community’ for all stakeholders.